The problem is, headline stats can struggle to identify these unheralded players. 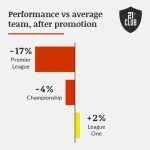 A player’s statistical output will depend greatly on their teammates, and if your team is in a relegation battle, no matter how good you are individually, your output will suffer in comparison to players playing at title challengers. As an example, think about creative midfield players, your classic number 10s. These players are judged primarily on their assists tally for the season – the best creators are expected to be at the top of the assists table. However, it is perfectly possible for players to create a high volume of excellent chances, but be let down by their teammates’ decision-making and shooting accuracy. Conversely, players playing at the best teams will have an easier time racking up assists, as their teammates will be able to turn a mundane pass into a goal via mazy runs and good marksmanship. In order to shine a light on these hidden gems, we can dig deeper into their performance using our 21st Club Performance Metrics. For creative players specifically, we calculate the probability that every pass a player makes will result in an assist, if the quality of teammates were the same across the board. Obviously, playing a pass into the box at Barcelona will lead to an assist much more frequently than if you played that exact same pass at a less successful team, but we shouldn’t penalize players for doing what they can with more limited resources. By ignoring the identity of the receiver, and anything he does with the ball after receiving the pass, we can more accurately capture every player’s true creative potential. Of course, we are less interested in these well-known names than in players we haven’t heard of before. Can we identify up-and-coming prospects as well as established stars? In the top 50 players by this metric, we can find for instance 19-year old Hamed Traorè, currently in the relegation zone with Empoli in Italy’s Serie A. Hamed only has one assist to his name this season, but would be expected to get between 3 and 4 based on the quality of the chances he created. His performances haven’t been unnoticed though, as Fiorentina have moved early and signed him for next season. They found their needle in the haystack. At 21st Club, we can help you find the hidden gems you need, across all positions in the pitch, using our performance metrics. The best way to get an edge on the competition is by knowing what they don’t, before they do.